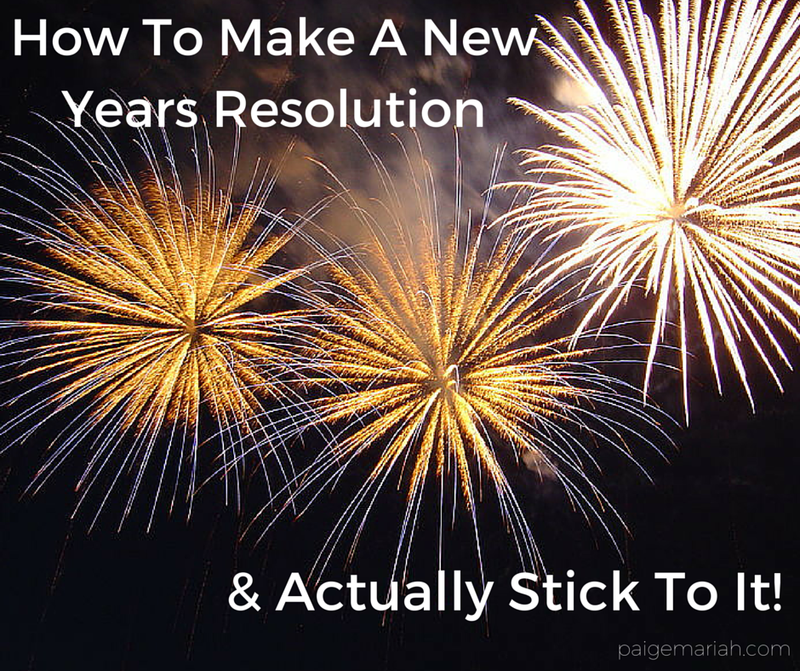 How To Make A New Year's Resolution & Actually Stick To It! It’s pretty much a known fact that a majority of New Year's Resolutions don’t usually last the entire year. Actually, a lot of them don’t even last longer than a week! Just check out how packed your local gym is during the first week of January compared to the last week of January! Though we may have good intentions when we originally create these lofty goals for the new year, we often don’t fully consider the hard work and dedication that it will take to truly live up to them. This upcoming new year, let’s vow to make resolutions that we will actually keep! Check out the tips below that will help ensure that you stick to those 2016 goals. Write It Down: I don’t know how I’d get anything done if it wasn’t for my lists! Planning things out in your head may seem like enough, but theres nothing like actually creating a physical To-Do list or a list of goals. You’ll always be able to refer back to it later and most importantly check things off as you go along. I always feel a sense of accomplishment when I’m able to check another thing off of my list. If you haven’t already, write down/type up your goals for 2016 and hang them somewhere that will allow you to face them every single day! Plan It Out: If you fail to plan, you plan to fail. Along with list making, I would also be lost without my calendar. Sometimes getting things done, takes as much effort as planning everything out, down to what time you’ll begin and end a task. Try to create dates and deadlines for when you hope to accomplish each of your 2016 goals. If you don’t make the deadline, it’s okay! Having a deadline in place, simply sets a fire under you to get things done. Make It Happen: Now is the time to turn our goals into accomplishments! What better time is there to live a life that you love than right now? It only makes sense that we see a new year as a fresh start. However, we can change ourselves for the better at any time. Even when you find yourself slipping while reaching for you goals, remember that we have the power to press reset at anytime. Remain focused and optimistic and 2016 has the potential to be your best year yet! What are some of your goals for 2016? Share in the comments!